Dogs around Horses can be the best of friends or the worst of enemies!! 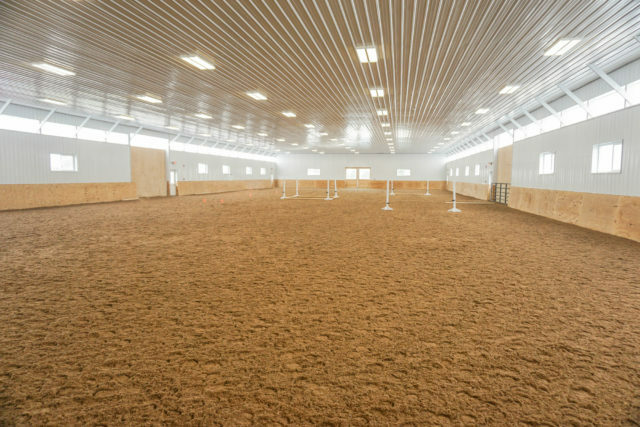 I just moved my horse to a new private barn that has only two horses. It is a quiet barn with miles of trails, which is exactly what I want! Riding trails weave in and out of the woods and across fields. With such nice landscapes, I’ve also been thinking about bringing my year old Labrador retriever on trail rides too; especially since my horse is great with dogs. The problem? My dog has never been around horses. Dogs around horses that are trail riding partners have a few requirements. They need to be physically fit in order to go on long trail rides and they need the mental soundness enough to follow your commands. Some dogs are more independent than others and will run ahead, but they should listen when you ask them to come back to you, or wait for you to catch up. My dog loves to go on long walks. She is very independent and she is the type that will run ahead on walks through the woods to follow a scent. Even though she sometimes goes very far on a scent, she will come back as soon as I call her. Although dependent dogs might be easier to take on trail rides because they will stay close to you, a well-trained independent dog can also be a good trail companion. Once I decided that I wanted to bring my dogs around horses, I started looking up ways to train and teach my dogs around horses. 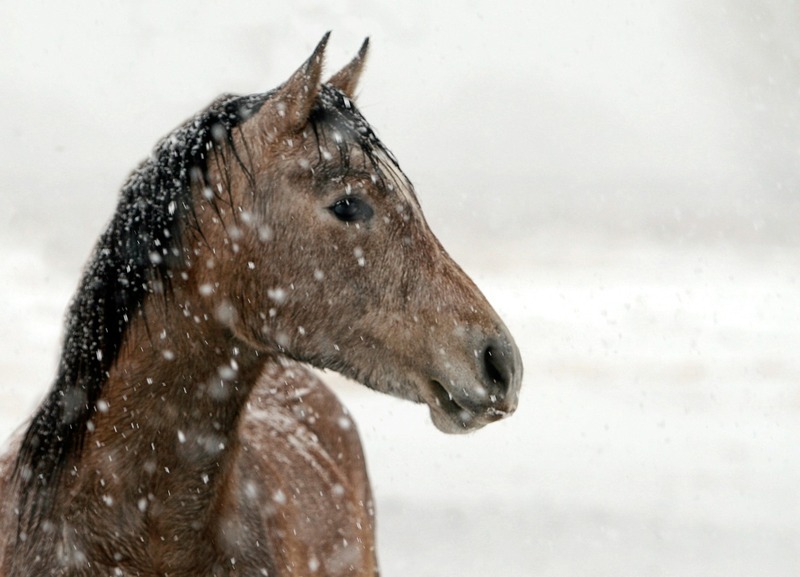 Before you introduce your dog to the barn, or your horse, your dog should be well trained. They should be able to understand simple commands such as sit, stay, and down, both on and off the leash. The first thing I did in training my dog, was to bring them to the barn on a leash. I closed the barn off so she wouldn’t see the horses outside and let her sniff around inside the barn. After a bit of smelling on the leash, I let her run around inside while I mucked stalls, so that she could get familiar to different sites and smells. When I finished doing my chores around the barn, I pulled down one of my saddle pads that has my horse’s scent on it and let my dog sniff that for a bit to get used to the smell of the horse.